Book a special trip away for the weekend. We suggest an area that you both love and shared happy memories. Whether is a family holiday house or a place where you met, sentimental is best. The key to this idea is to be organised, so you need to pack all items before you leave, even pack her bag. Buy her favourite chocolates and Easter eggs from the shops and write a note on each one (keep them hidden from view at all times). On arrival, hand her your phone which plays a video, this video will keep her busy while you hide the eggs in the house or garden. The video will tell her how much you love her, its a special weekend away and she needs to now start the Easter egg hunt. You can guide her, but it’s more fun if she searches then reads each note (we would hate for any chocolate to be missed so create a map or remember the hiding spots). The last note will say, “will you marry me?” and you can be next to her holding the engagement ring. Lindt Chocolate studios offer a variety of classes and tastings in Cape Town and Joburg. You can check available courses and dates online then book accordingly. This is a great time of year as Easter Lindt bunnies can be created. You could chat with them about writing “marry me” and her name on the Lindt Bunny to be handed over at the end of the class. This would be a proposal ideal for chocoholics! A fun idea is to contact a baker who can create chocolate moulds. Ask them to create a HUGE chocolate egg which is hollow in the middle. This large egg could somehow open with a lid, then the ring box would be placed inside. If they can’t create a lid the ring box will have to be moulded inside while they create the egg. Can you imagine the impact when you tell her to break the chocolate egg and a beautiful ring box falls out… this is your moment to pop the question. Have you always wanted to own a pet rabbit, well this is your big chance! As its Easter, this is a great idea for all animal lovers. Contact a pet shop or farm to buy a small bunny as a prop to use in your proposal. Get a “marry me” tag in her favourite colour to hang around its neck. When you hand her the bunny, she will read the tag and you ask her to marry you. This idea only works if you have a garden and a good environment for a little rabbit. Remember this is your new pet for a long time! If you feel it’s too much commitment, we can suggest using a ceramic bunny, this would work just as well. Easter is about spending time with family & friends. If you know your partner will enjoy a public proposal, then this one is for you! Arrange an Easter lunch, inviting all your close relatives and friends to join. Decorate the table with Easter treats, like chocolates and cocktails. On the day, each family member must arrive before you so it’s a surprise party. As you both enter, the family stands up and shouts “will you marry him?” She will be so surprised as its only meant to a normal Easter lunch. You can also use a sign, each letter is written on egg-shaped cardboard, the family could hold it up when she walks in. Does your partner enjoy spending time at home? Do they like to sleep in? Well, this is the perfect idea for you. We suggest being organised and doing the prep the day before, then in the morning, you have less to manage. Get up early in the morning before she wakes up, and prepare all her favourites items to eat & drink. 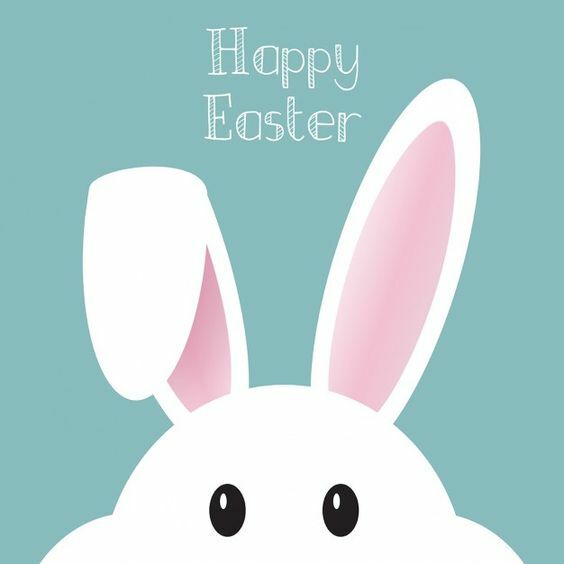 We suggest the following Easter treats: baking hot cross buns, hot chocolate, pancakes shaped like bunnies, carrot juice and some chocolates! Be creative & exciting and place all items on a big tray. Then serve her an Easter breakfast feast in bed! You can also add some flowers and bubbly for the proposal moment! Here is a lovely hot cross bun recipe from Jamie Oliver.